This first week in Deutschland has been magical to say the least. I arrived Tuesday morning in Frankfurt and it has been all go since then. My trainer Sister Griffen is pretty schondebar. She is really cool and she is actually from New Zealand so her and I delight in with others, joking about how wunderbar the United States is. Sister Griffen has been out for almost 6 months and is seriously the best trainer I’ve ever had. We get along well and has been really kind and understanding that at all times I have no idea where I am or what I’m doing. It has been a challenge to figure out my new city and the culture shock has been a little rough but all is well now. On Wednesday we left Frankfurt and went to my area, Bamberg. I dropped my stuff off and we went street contacting. All was fine until I would start my spiel and hearing my accent, everyone would respond to me in English. So that made me feel special. After that Sister Griffen and I had our first appointment. We are teaching a gentleman by the name of Moses. He just moved here from Nigeria so our lessons are in English. He is absolutely spectacular and he is getting ready to be baptized on the 30th. After our lesson the Bishop of our ward and his wife picked us up to show us a castle in Bamberg. It was foggy so you couldn’t really see anything but it was unlike anything else I have ever experienced. Truly magical. The Wolf’s are so awesome and have been so welcoming! Yesterday Bishop Wolf told me that he was delighted that I had the opportunity to be a so called “spiritual exchange student” in the Bamberg ward. They are so nice and they invited us to their home for Christmas Day. 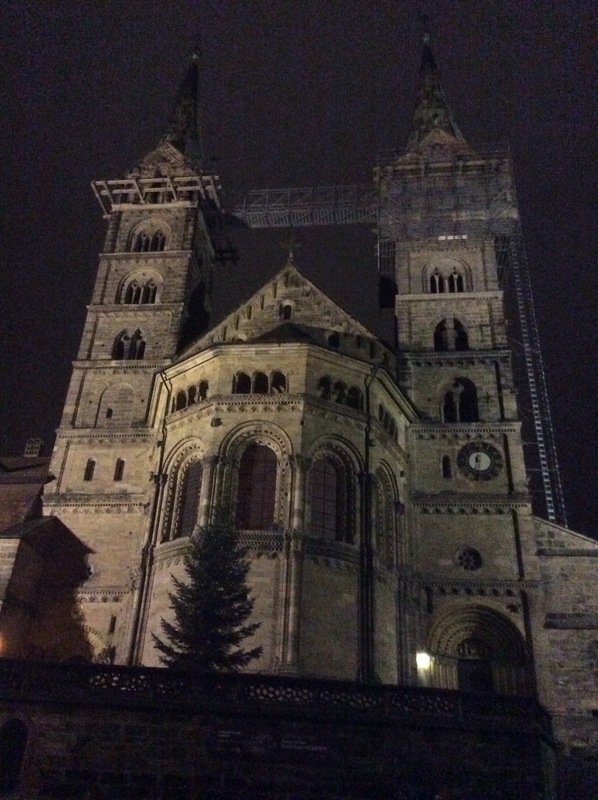 Thursday I became a resident of Bamberg and then we had a dinner appointment with a family in the ward. The Knolls are a really cool people. Brother Knoll is from Germany but Sister Knoll is English so I was blessed this week to start off in English and I haven’t been too overwhelmed. Friday was a different story. We had district meeting in Coburg and that was really fun to meet some more missionaries. We then had a my first German appointment with a Sister Schmelzle. I didn’t say a whole lot until the important bits and contributed all I could for my testimony. The Gift of Tongues is real. I was so excited for Sunday!! For church we had a Christmas program that all 3 of our primary kids participated in with some help from the Elders. After church we had a ward Christmas lunch. 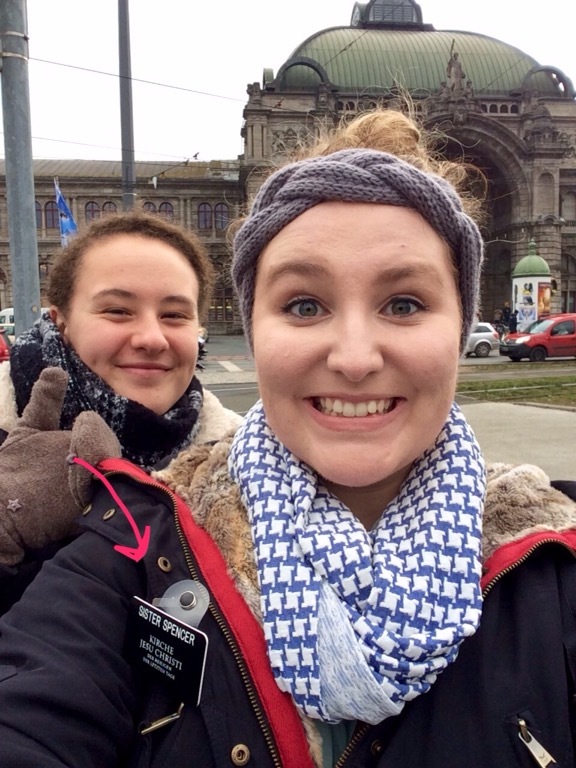 Sister Griffen and I were very blessed this week to have 2 investigators at church and they brought some friends. I was particularly worried that none of our friends were going to show up but the Lord answered our prayers. Sunday night one of our investigators, Martina, was eager to show me around Bamberg and she took us on a tour of alt stadt. It is truly amazing and Martina is a fantastic person so I look forward to meeting and teaching her more. Today we went to Nurnberg for p-day. 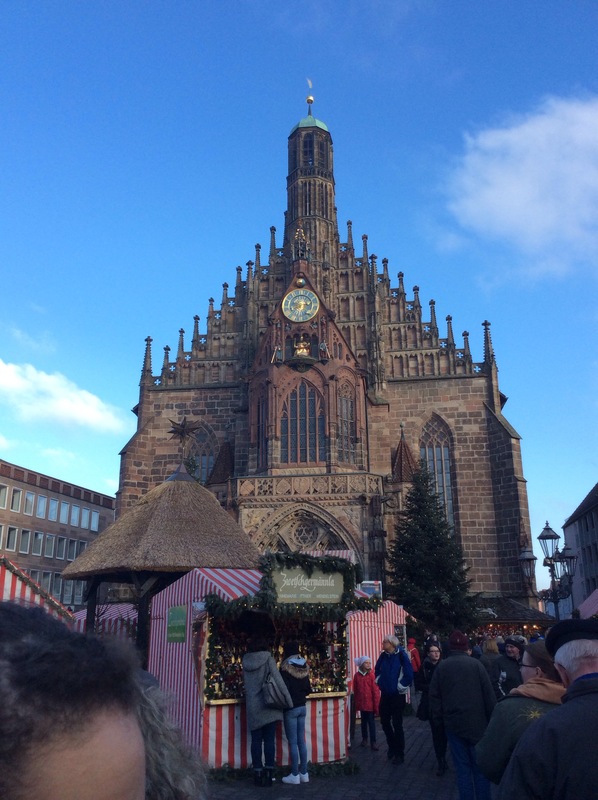 It was very cool and we were able to go to the Weihnachts Markt there. I hope all is well where you are and the church is true! !